Renowned as a veritable jewel of Florida’s Treasure Coast, Vero Beach embodies all the best qualities the region has to offer for both residents and visitors. From a thriving cultural and arts scene to breathtaking natural beauty, plus endless opportunities for outdoor recreation and cuisine to match any palate, Vero Beach delivers with effortless grace and sophistication. Vero Beach is home to a plethora of eateries serving fresh seafood, authentic Cajun fare, and Italian classics. There is no shortage of lunch spots in Vero Beach, whether you’re searching for a quick on-the-go option or a fine dining experience. Boasting fresh ingredients, ocean vistas and chic surrounds, these Vero Beach restaurants will not disappoint. 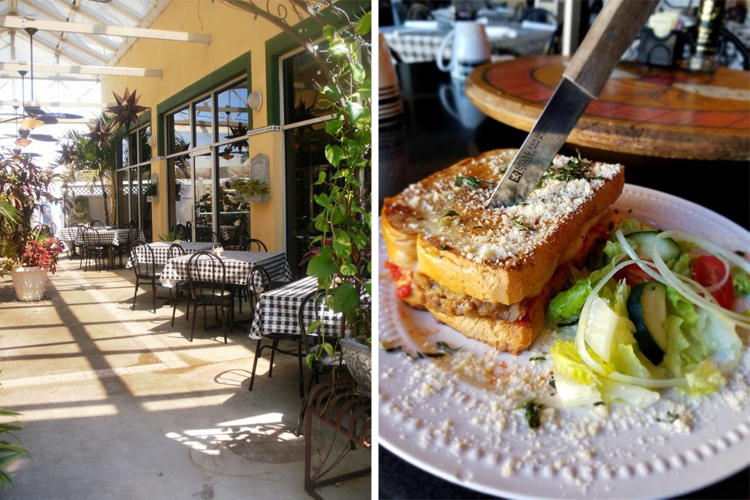 This eclectic eatery in the heart of Vero Beach offers delicious breakfast and lunch menus. The funky decor in this laid-back Italian-American cafe provides a fun setting to enjoy your meal, whether you’re craving an Eggs Benedict or a gorgonzola bacon angus burger. Don’t miss the variety of Italian plates available on Baci Trattoria’s lunch menu, including a number of delicious pastas, seafood dishes, chicken dishes and more. The Patio is a long-time favorite lunch spot in Vero. This rustic, wood-paneled restaurant serves fresh seafood, award-winning burgers and exceptional steaks aged in-house. 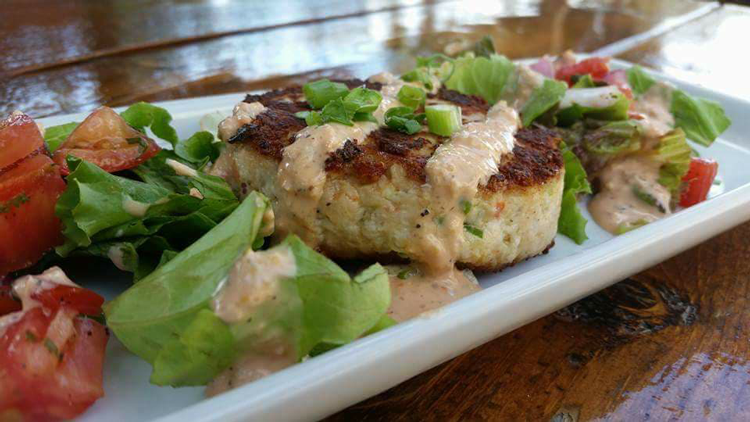 Located in one of the most historic buildings in Florida with airy patio seating available, The Patio Seafood Tavern provides an idyllic atmosphere for dining in Vero Beach. Pair your selection on the lunch menu with one of their hand-crafted cocktails, specialty beers or a glass of wine. The Patio always has some sort of deal going on each day of the week, plus a daily happy hour from 3:30–6:30 p.m.! Nestled in the elegant and refined Vero Beach Hotel & Spa, Cobalt offers endless views of the Atlantic plus a daring menu focused on seafood. Start with a salad, soup or flatbread, then choose from Cobalt’s selection of sandwiches and other mains, including a lobster roll, local shrimp and grits, and more. Take in the breathtaking ocean views while you dine in this elegant, upscale eatery just steps from the warm sugar sands. This chic venue serves New American plates comprised of local ingredients. Their formal yet inviting interior perfectly complements the lush patio filled with tropical greenery and a fountain. Osceola Bistro’s menu represents an array of flavors and influences from around the world, inspired by the culinary travels of Chef Christopher Bireley. He is passionate about incorporating as many fresh ingredients from local farmers and fishermen as possible in an effort to support the local economy and promote sustainable sourcing. The patio at Osceola is particularly dreamy, and even has a dog-friendly section! 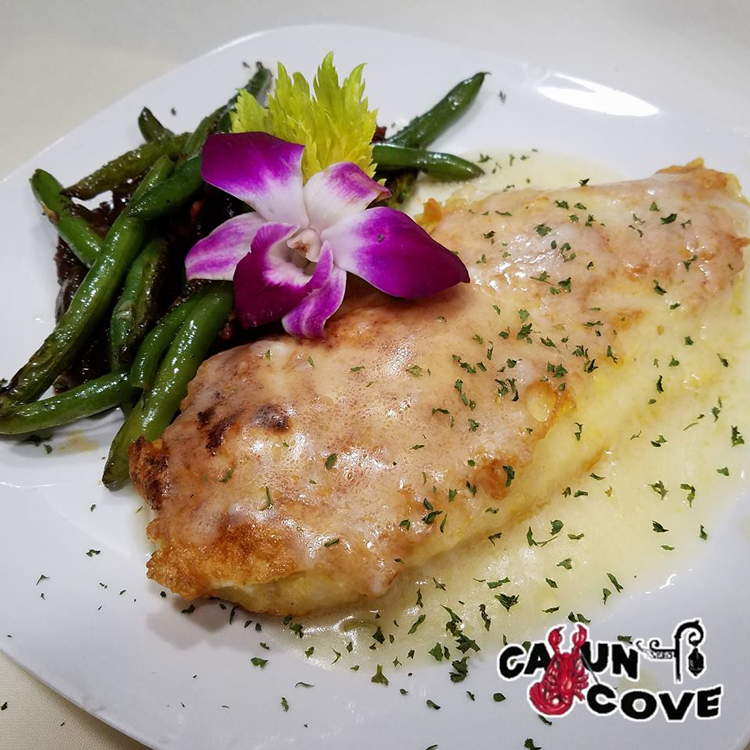 Situated on Royal Palm Pointe overlooking an Intracoastal canal, Cajun Cove is a Cajun-style restaurant serving authentic New Orleans-style cuisine. You will discover many of the unique specialties popular in New Orleans’ French Quarter eateries, including Etouffee, Jambalaya, Gumbo and Crawfish. For fine dining, try one of the weekly chef’s special entrees, prepared to accommodate the palate with a mild and spicy option. Dine along the water’s edge and enjoy the tantalizing flavors and exciting atmosphere of Cajun Cove. Whether or not you’re staying in the fabulous Costa d’Este Beach Resort, The Wave Kitchen and Bar makes for an excellent lunch spot. This bright and modern eatery serves New American cuisine with a Cuban twist. You will discover a variety of mains, shareable plates, fresh seafood, and a wide selection of sandwiches on their lunch menu. Plus, The Wave also serves a selection of Cuban specialties developed by Costa’s owners, Emilio and Gloria Estefan, derived from their Estefan Kitchen Cookbook. Relax and unwind in the sophisticated atmosphere of this upscale eatery in the Costa d’Esta Beach Resort for breakfast, lunch, dinner, drinks or even brunch on Sundays! If you’re looking for a quick and casual lunch spot, Chive is the answer! This vibrant counter-serve eatery offers what they like to call “Quick Creative Cuisine.” Chive provides an opportunity to create a vibrant meal you crave to keep up with the busyness of your day. Choose a salad, wrap or burrito, tacos, a po boy, or a beans and rice bowl. Then choose your source of protein, including everything from slow-roasted pork to Maine lobster. Finally, add extras and personalize your dish with any of their signature toppings and sides. What lunch hotspot in Vero is your favorite? There are so many amazing Vero Beach eateries to choose from! Let us know your favorites in the comments below.